Image | Posted on Jan 19, 2016 by Rasheed A.Z. 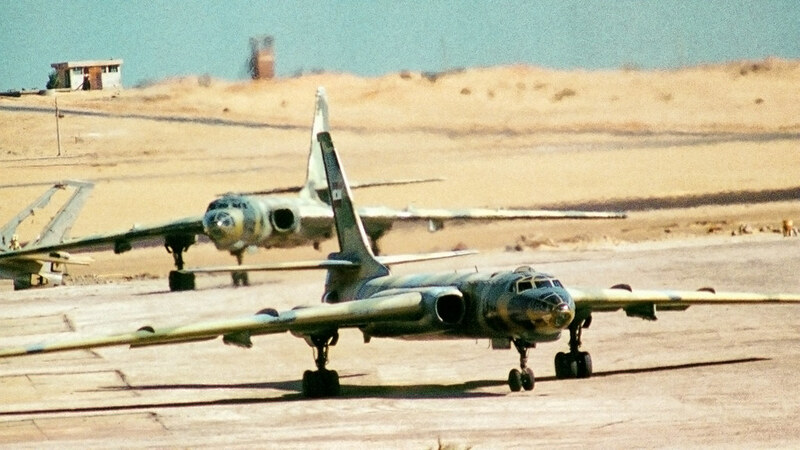 Tupolev Tu-16 “Badger” Soviet-made long range bombers of the Egyptian Air Force. Retired in 2000. This entry was tagged bomber, Egyptian Air Force, tu-16, tupolev, vintage, القوات الجوية المصرية. Bookmark the permalink.